Our New Hampshire DWI Lawyers have spent more than 20 years defending drivers accused of drunk or impaired driving. Many of those drivers were under the age of 21, and as such, faced enhanced and harsh penalties for underage DWI. Underage driving while impaired applies to persons under the age of 21 at the time of the alleged offense. In NH, drivers under 21 who are convicted of a NH DWI face a lengthy license loss, hefty fines, and a criminal record, among other penalties. Defending drunk driving cases for young adults requires a deep understanding of the law, the pharmacokinetics of alcohol and the effects on the human body, and the special penalties that apply to younger drivers. Drivers under 21 who are charged with a NH DWI should be prepared to vigorously defend against the charge. In New Hampshire, prima facia evidence of impairment is .02% blood alcohol content. As such, to prove their case prosecutors have a very low burden in an underage DWI. If convicted, New Hampshire law imposes enhanced court sentences, along with administrative license suspensions by the Department of Safety. 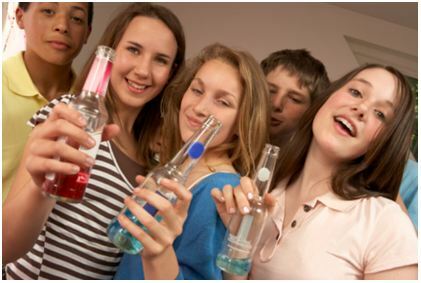 Because of overriding concerns regarding alcohol and drug use among young adults, prosecutors often approach these cases with strict adherence to the letter of the law. The DUI attorneys at Tenn And Tenn, P.A. understand these complexities and are here to help our clients map out the best strategy for successfully defending their case. Our office is located in downtown Manchester, NH and is easily accessible. Our DWI defense attorneys travel statewide. Our experience in representing drivers takes us throughout New Hampshire including the college towns of Keene, Durham, Plymouth, as well as Concord, Manchester, Goffstown, Henniker, Nashua and New London. If you or someone you know is facing an under-aged DWI in NH, our lawyers are here to help. We offer free telephone consultations to review the facts and circumstances of your NH DWI charge. Our lawyers strive to help clients obtain the best results possible. Feel free to contact us today at 1-888-511-1010.